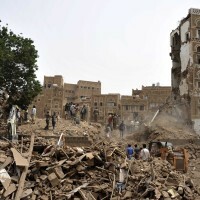 Hot this week: Loss of ‘World Heritage’ in Yemen, but curious lack of media outcry. Not much in the article but a fun headline. Notes on the art world’s tendency towards scandal. The temple was unharmed, two of the attackers were killed, and a 3rd attacker and a police officer were wounded. A replica of the sword of General José de San Martín was stolen from the Museo del Pasado Cuyano “Doctor Edmundo Correas”. This article says that the museum is in poor repair. The tabernacle, the gold crown of the virgin, and a silver cup were among the items taken. 300 objects were taken from the Fundación Nacional para las Bellas Artes y la Cultura in Antigua by armed assailants. Officials blame a lack of money and a public disregard for preservation for the constant threat to Mexican archaeological sites. The objects were in the Villalobos collection and were determined to have been stolen from Peru. The government confirms that 13 pieces offered in the May Sotheby’s New York sale were looted and smuggled from Peru. A misleading title. This is only one piece of the continuing divisive saga. It seems Iraq has agreed to this delay, however. The painting is in the Thyssen-Bornemisza Museum in Madrid and US judge ruled that the US didn’t have jurisdiction to rule. The difficulties in being tasked with protecting and preserving things that are out of Libraries’ usual remit. The house as passed the The Foreign Cultural Exchange Clarification Act (HR 889) which prevents art loaned by foreign governments from being seized in the US…even if they are shown to be stolen. Stolen from the Judy Garland Museum 10 years ago, the divers were following up on a local rumor that the shoes were dropped in a mine pit. This is honestly one of the strangest ideas I’ve read. Selling legal ‘looting’ plots in Colorado? The 82 coins date from the 4th century BC and were hidden in three routers headed to the U.S. The agreement calls for “joint action to combat trafficking in antiquities” among other things. Also, nothing to do with ISIS. Another example of poor reporting related to all of this. Another piece that notes that local press was incorrect in calling the object Syrian. International media, please take note and bother to call an expert. An interview with Tribe Chairman Herman Honanie. 1653? Then yes it is. A short thought on how authenticity is determined. The head has been returned after Bonham’s attempted to sell it in late 2014. Speculation that there is a dedicated gang stealing Romanesque architectural elements from churches in Castilla y Leon. An individual was arrested when he tried to sell silver objects obviously stolen from a church to a jeweller. The 16th century pieces came from a parsonage in the village of Aranda de Duero. The bell was taken from the church of Santiago in Málaga and was about 100 years old. Self portrait 1920 was taken on 29 May. The 14th century piee was taken from All Saints Church in Newland, Forest of Dean, in 2012. This scheme is aimed at preventing the theft of Essex’s historical artefacts. The piece was taken from a museum display, the first theft there in 45 years. Two men smashed a museum window and removed the meteorite. More than 150 Boer War objects were taken from the State Library as long as six years ago. All of them relate to a single family with the surname White. The 20 rare pieces, offered for sale in Basel, seem to have left New Caledonia illegally in 1974/75 and are photoed in papers from that time. The auction house maintains that the collection was exhibited before without uproar but they have suspended the sale. It is unclear what will happen next. In the course of a brokerage deal for the sale of a Van Gogh during an absurd money counting ritual, the counters swapped fake money for real money. Prakash Kumar Sahu alias Babul Naik has been arrested in Vijaywada and 60kg of silver items stolen from temples were recovered. Kumar argues that diluting an already toothless antiquities law will not protect Indian art from theft. An in depth look at proposed changes to Indian antiquities law. Quotes from me! How the police cracked the case of a theft of an idol from Venkatagiri temple in Nellore district. I’m quite sure all of us have known these objects were there. The 6 looters were given 18 months in prison. It is as yet unclear if the destruction was due to Saudi bombing, but this is destruction of a World Heritage Site that the world isn’t panicked about. Why?